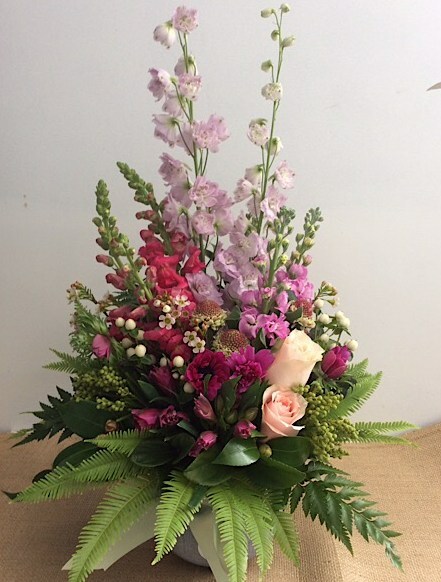 This abundant arrangement of seasonal pink toned blooms is carefully created in a ceramic vase. The mix of varieties creates a feel reminiscent of a meadow filled with beautiful flowers. This front facing arrangement is ideally suited to placement on a side table for your enjoyment. Height will vary but sits around 40-50cm at its tallest.